The MD2 Outdoor Lockable Notice Board is suited to applications where there is exposure to the weather and moderate vandal resistance is required. 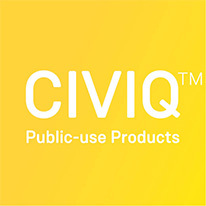 It is available in a range of standard sizes only. 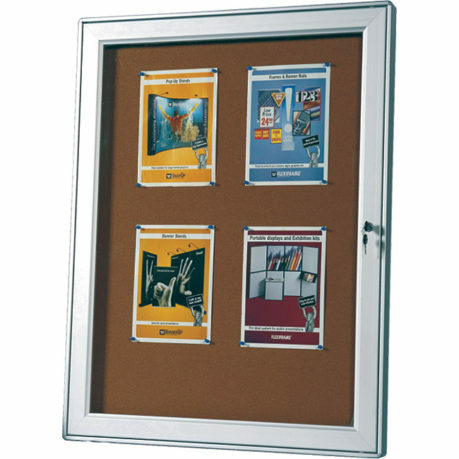 The display area backing material consists of cork board (a renewable resource) or upon request a whiteboard material that can be supplied separately to place over the cork. The whiteboard material also accepts magnets which can be used to hold notices. 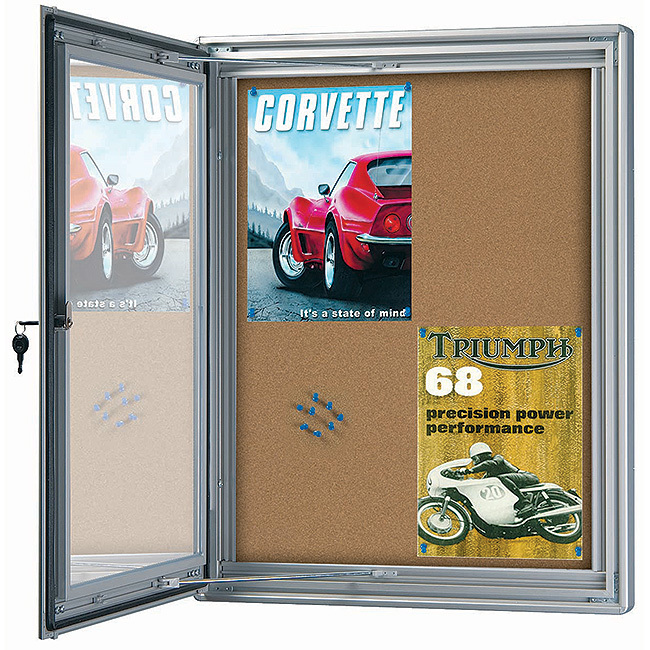 The MD2 Outdoor Lockable Notice Board is an effective way to display information clearly and securely. They can be mounted directly onto a wall or attached onto a frame for freestanding applications. 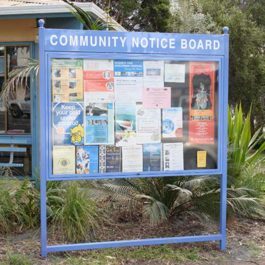 They are great for retail outdoor menu displays, Office, Schools, OHS Safety, Church and Community Bulletin Notice Boards. HD1 Harsh Duty Notice Board – for vandal and water proof notice boards, custom made sizes and finishes. 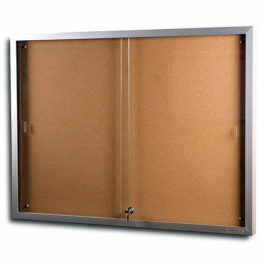 MD6 Keyless Secure Poster Board – low cost slim custom made, vandal tamper and weather resistant notice boards. Window size less 130mm from overall. Prices DO NOT include GST or delivery.